Before I visited Seoul I looked at the accommodation map and I didn’t have a clue which area to stay. I saw an apartment listed in Gangnam, which everyone now knows from the Youtube blockbuster Gangnam Style. I must admit that I predicated my booking choice knowing that Gangnam is a well-to-do district on the south side of Seoul from that song. It turned out to be a good choice. I split my time between the north and south side of the river, and staying in Gangnam for a few days allowed me to focus on the south side. The Airbnb I picked is listed as the best location in Gangnam. I don’t know if it was the best, but I couldn’t fault the location. It was about 10 minutes walk from Gangnam station and surrounded by cafes and local restaurant selling affordable bibimbap and other Korean staples. 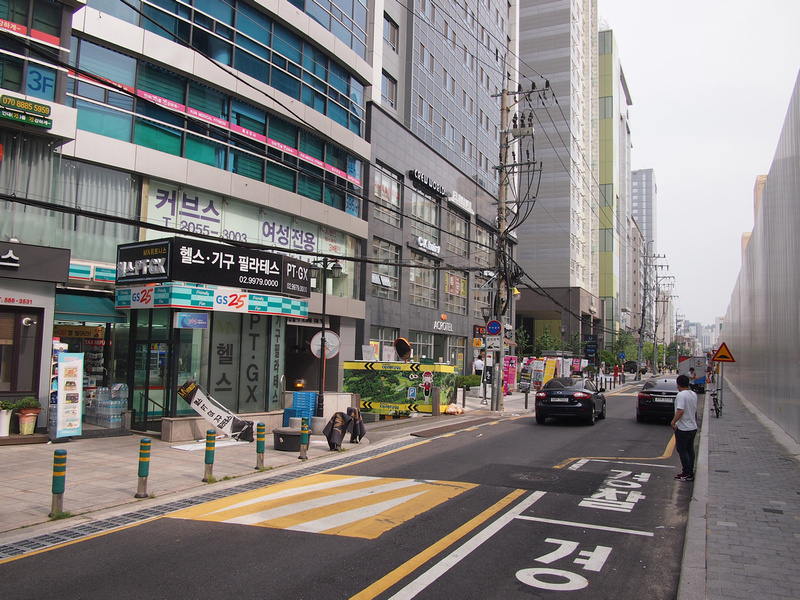 Seoul is also easy to navigate with streets marked in English and a sensible numbering system. Even when exiting the Gangnam metro through the cavernous underground shopping mall it was easy to find. After previously staying in a run-down guesthouse it was a pleasure to be moving to a modern apartment. 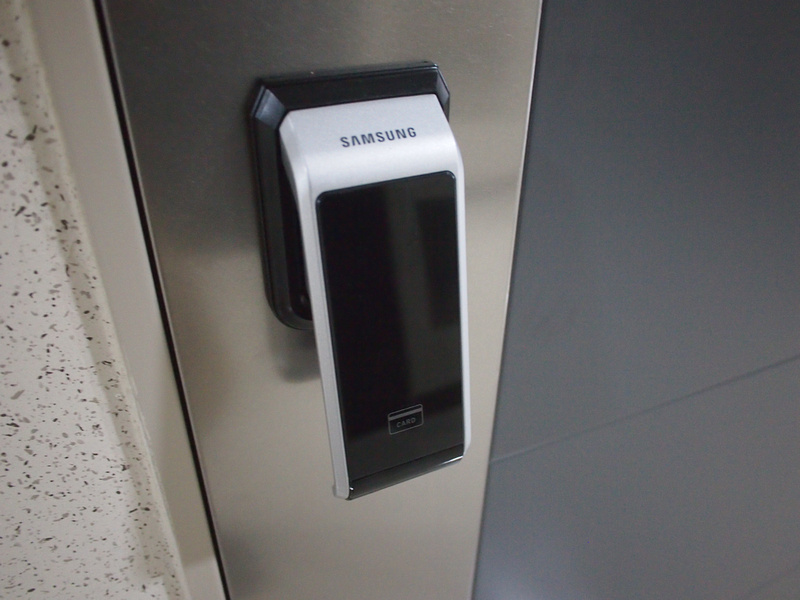 I saw my first smart door by Samsung (of course! ), which a code is given to you in the check-in email. The studio was the perfect size for a solo traveller. 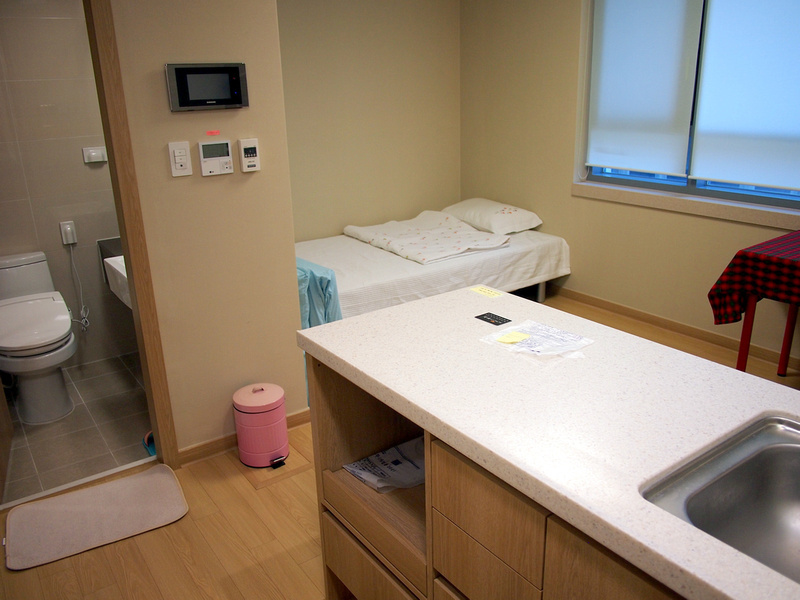 The single bed was tucked into a little nook made for a bed. I was concerned that the air conditioner that is built into the ceiling was over the bed, but it didn’t blow directly onto the bed. 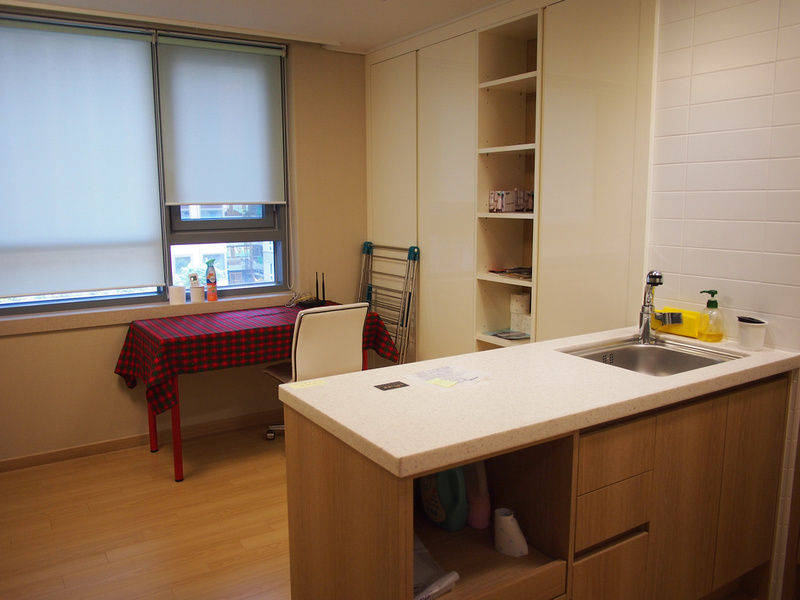 I was planning to eat all the things while in Seoul so I had no need for a kitchen. It was nice to have the kitchen space though, and under the sink was a washing machine. The work desk had a comfortable chair that made for a good work space. 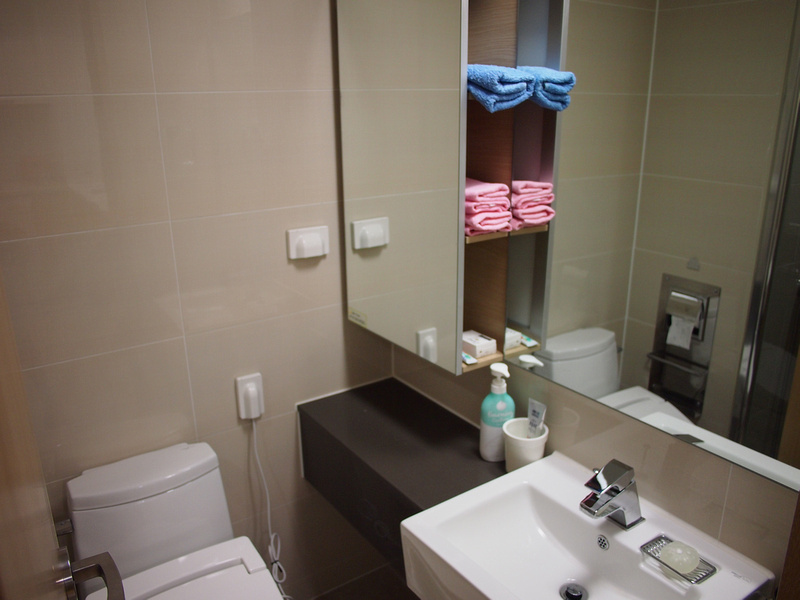 A clean and modern bathroom with plenty of space to place toiletries, and a good hot water system. The studio is in a modern apartment block in a modern street. Everything is new in this part of town, yet it felt lively and lived in. Overall this was an ideal place to stay for a few days. If you are only in Seoul for a couple of days then it is probably better to stay on the north side of the river where the historical sites are. If you are staying longer then a stay on the south side is a good plan. You can check availability on Airbnb, though rooms come and go on Airbnb all the time, depending on the owner or sub-renter. For Airbnb first-timers sign up here to get a free credit (and we will both get a credit). 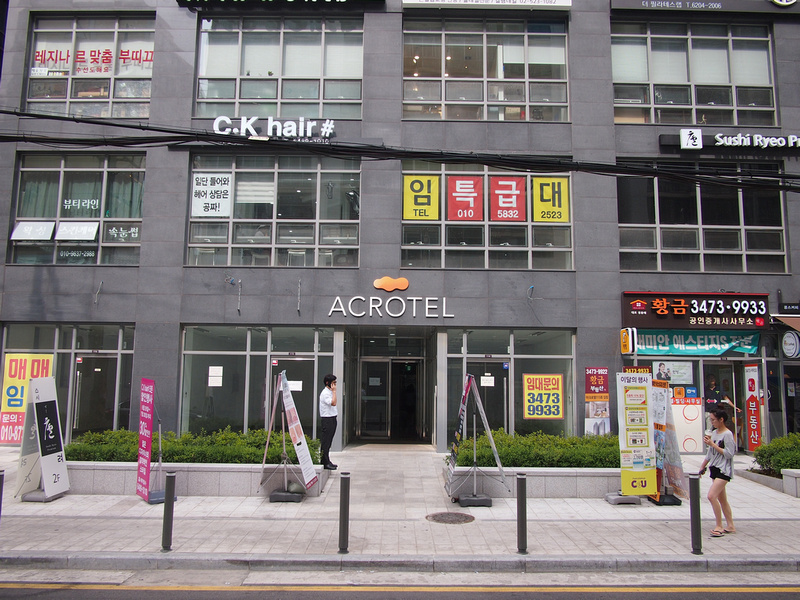 If you prefer to stay in a hotel, search for hotels in Seoul.